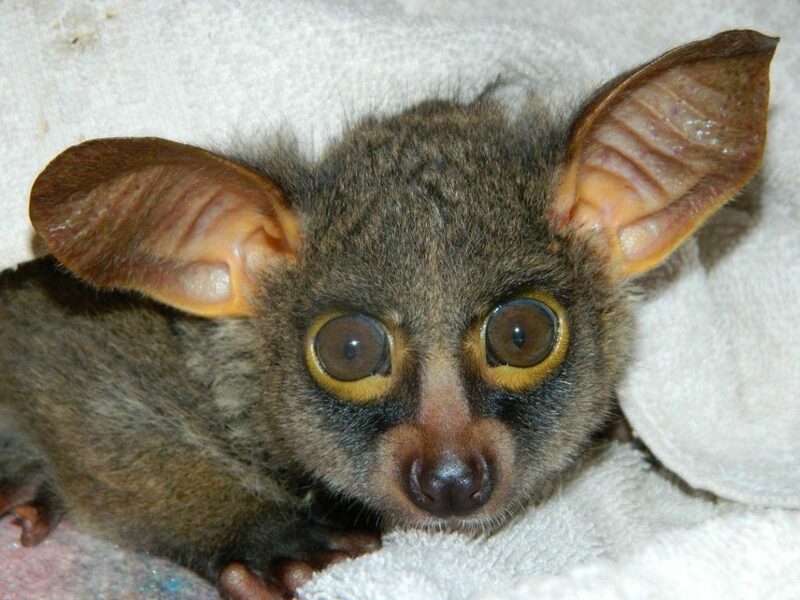 The Bushbabies or Galagos of Africa are of the smallest primates on the continent and, although fairly common, are not easily seen due to their nocturnal behaviour. They are more often heard than seen, with their baby-like cries piercing the night. View of a lesser bushbabyIts fingernails are rounded like our own, with the exception of the second toe which is modified as a toilet claw. This pointed claw is used to groom the head and neck fur and to clean the ears. The fingers and toes have flat disks of thickened skin which aid in grasping tree limbs and slippery surfaces. The index finger of each hand is degenerate (much shorter than the other fingers of the hand) in order to facilitate a better grip around larger branches. The Mohol, or South African Lesser Galago is characterised by the presence of a tooth-comb. The coat of this species is brownish grey to light brown. However, the sides and the limbs always have a tendency towards a distinctly yellow colouration. There are markings between the eyes as well as a dark ring around each eye. Insects and the gum of trees, they will lick dew and rain water from cracks and crevises. They generally give birth to twins before the rainy season, which is immediately followed by a second oestrus. Well before the onset of the next dry season a second set of twins are born. Gestation period is 125 days. A female will mate with up to six males during the peak of her oestrus cycle. Females ‘park’ their infants in constructed nests while they search for food, moving them away from danger by carrying them in their mouths. Males will mark females by urinating on them. A bushbaby in a tree.The Lesser Bushbaby, known to scientists as Galago moholi, is a small, tree-dwelling primate active by night. They are capable of leaps of remarkable distance between trees. At times they may venture on the ground, when they walk either on their hind legs or on all fours. Apart from adult males avoiding confrontation with each other by maintaining individual territories, their social system is similar to that of the Thick-tailed Bushbaby. Adults are solitary foragers, but companions do meet at night to interact, and congregate before going to sleep during the day in groups of up to six. This species has at least 18 different calls, that can be correlated with definite modes of behaviour. These belong to 3 functional groups, those being social contact, aggressive, defensive, and annunciatory behaviours. Their great reliance upon vocal communication is part of their survival strategy upon recognition of an enemy. A Bushbaby’s eyes cannot move in their sockets, and so the head is continually active when searching for prey. They have highly developed hearing, and their ears have a complex series of folds, which enables them to position the source of a sound very accurately. Hearing is acute enough to hear the gliding of an owl. Evening shot of a lesser bushbaby.Their movements are extremely quick, and they can catch grasshoppers and moths in the air with their front feet, while holding onto a tree with their hind legs. Also nocturnal, the Lesser Bushbaby is very particular about its appearance, grooming conscientiously before embarking on a night’s foraging expedition. Within these locales its preferred habitat is the savannahs, woodlands, riverine bush and the fringes of forests. In particular, near the Limpopo River between points of confluence with the Marico and Notwani Rivers. Being a South African species, it has a relatively high tolerance for temperature variation. Region where lesser bushbabies are most commonly found.They can be found in Namibia, Botswana, Zimbabwe, Mocambique, Transvaal and Swaziland. 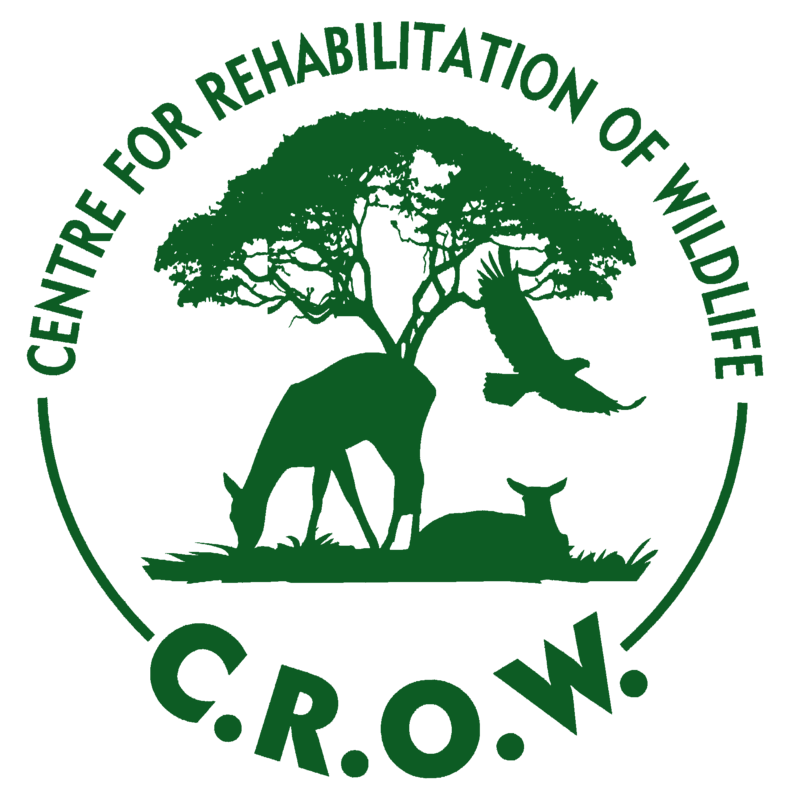 They are preyed upon by the larger Owl species, taken by snakes, servals, African Wild Cats and genets. The main threat to the lesser bushbaby is fire. These animals are not capable of moving over very large distances and may face severe consequences if fire sweeps through their area as this may destroy their available food supply in the areas they frequent. This may help to explain why they are found in the moist and short grass habitats, a form of protection from fire. Many African tribes are superstitious about this little primate – its laughing, chattering sounds are attributed to a mysterious giant snake with a feathered head, arrayed in rainbow colours, which kills evil intruders by pecking a neat hole in their head! View of a galago bushbaby.The thick-tailed bushbaby is the largest galago species. Head and body length ranges from 297 to 373mm, and tail length, from 415 to 473mm. Body size is sexually dimorphic with males being significantly larger than females. The coloration of the fur is silvery brown to gray with the underside usually lighter in colour. The fur is dense, woolly, quite long, wavy, and usually described as without luster. They often furl and unfurl their ears giving them a quizzical expression. The eyes are forward pointing and large. As with most galago species, there are flat disks of thickened skin at the ends of the fingers and toes useful in grasping limbs. The fingers are long, and the toes are flattened with flattened nails. A bushbaby jumping from tree to tree.Thick-tailed bushbabies are mostly gumivorous and frugivorous, they are known to eat insects as well. In a study in South Africa, approximately 62% of their diet was gums, supplemented by fruits and insects. Thick tailed bushbabies varies with locality. In Gauteng, South Africa, insects were estimated to comprise 5% of the diet, while in Kenya insects may account for 50-70% of the diet. One insect that may serve as a seasonal food supply is the large termite, Macrotermes falcigar. When these termites are in the alate (winged) form, thick-tailed bushbabies have been observed eating them off the ground without using the hands. Generally their diet includes, insects, fruit, leaves, flowers, lizards, eggs and birds. A thicktailed bushbaby in a tree.The birth season of the thick-tailed bushbaby varies according to locality. It is restricted to November in the Gauteng and occurs in August and September in Zambia. Pregnancies peak in August in Zanzibar and Pemba. The female estrous cycle lasts approximately 44 days. Gestation is 133 days. Litter size is generally 2 individuals but can be 3. Females reach sexual maturity at 2 years of age. After birth, females will leave their young in the tree while they leave to forage. They produce a rich energy-dense milk especially in comparison with anthropoid primates. This may be related to their lifestyle as anthropoid primates carry their young during lactation and this galago does not. This species gives birth once a year, when vegetation is thick. Although in captivity it has been reported that this species has continuous estrus cycles, thus being able to give birth all year and not have a birth season. Nests are made in the tangles of vegetation. One infant is born at a time for this species with twins being rare. Young are weaned at the beginning of the driest season. Infants become independent from their mothers between the fourth and fifth weeks of life. Both sexes reach maturity at about 20 months of age. This is the most social of all known bushbabies. This species, unlike other galagines, moves quadrupedal through the forest and bush. When this species jumps, it lands with hind limbs first. When it has to move on the ground in open spaces between the canopy, this species will hop. They are active for an average of nine and a half hours a day during summer and twelve hours a day during the winter. This is a nocturnal species, with both sexes dispersing from the birth territory. Males will disperse further and at a younger age than females, so male membership in a given population changes more than females. Males may disperse further than females so as to reduce the complications from inbreeding. Males and females have ranges that do not overlap with same-age individuals, but do share ranges with younger or older individuals. Males have home ranges that overlap one or more females. This species has a promiscuous mating system. Thick tailed bushbaby shows a social network without the structure of a foraging group. Females are dominant in this species. Adult males were found to follow adult females more in captivity than females followed males. Females also in captivity were found to act aggressively towards males. Social play in thick-tailed bushbabies consists of exaggerated walk, chasing, tail pulling, wrestling, non-aggressive biting, and pouncing. In infants these play behavioural patterns are found on the first day of life. Infants play more when they develop independence from their mothers during the fourth and fifth weeks of life. They sleep in nests that are 5-12 meters off the ground. thick tailed bushbaby sleep together during the day, but split up at night to forage. They have been found to move up to one kilometre through the night. They live in small groups of 2-6 individuals. The composition of this group varies. It could be an adult pair with young, two adult females with young, or one adult female with young. The adult males are territorial and they seek home ranges that overlap several female home ranges. Thick-tailed bushbabies take their hands and cup them, and then deposits urine on them. Next they take that urine and spread it on the soles of the feet. When it walks, it leaves a little bit of urine on the substrate. Males urine-wash more frequently than females do, and when the female is in estrus, the male will deposit the urine directly upon the female, but all age classes perform this behaviour. A thick tailed bushbaby will urine-wash when foraging in a new area, looking at a strange object, during aggressive encounters, and social grooming. This behaviour occurs more frequently in dominant individuals. Region where thicktailed bushbaby are found.Thick tailed bushbabies are found in the countries of Somalia, Kenya, Tanzania, and on the islands of Zanzibar. This species lives in highland and coastal forests. This species also lives in riverine forests. The thick-tailed galago, or bushbaby, is found in East Africa from southern Sudan to eastern South Africa and through southern Angola. Close-up of a bushbaby.Prior to 1974 only six species were recognized, but by 1995 research has shown that in fact 17 species warrant recognition in Africa. As more of Africa’s forests are being scientifically explored and as scientific technology improves, the discovery of more new species is likely to continue.